Regular Shipping which is UPS Ground typically takes 5-10 Business days from the day it's sent out. Yes, we offer express shipping at an additonal charge. See the shipping info page for pricing and related information. Click here to go to our terms page which will explain all that. We accept Visa, Mastercard, American Express, Discover card, Paypal, Checks and Money Orders. Our Terms page contains further details. If I have a style/item number, but I can't find the product on your web site can you still order if for me? No, if a product is not listed on our website it is because we do not carry it. Sorry. Though if you can't find it here, you may want to try our Clearance Store before giving up your search. If I order from you, how long can I expect to wait for the stuff to arrive? Typically it takes 2-3 weeks for delivery on items that are not in stock. Items that are in stock usually arrive within a week or less. If you want express shipping see our rate chart. We will ship to Puerto Rico and American foreign military boxes. No, we don't accept COD payments. Yes. See our terms page for detailed instructions. If I wear large sizes and the size I need isn't mentioned on that style can you order it for me? Unfortunately we cannot. But we do carry a large selection of extra large sizes. Try a search for the size. i.e. 3XL, 4XL, etc. If you get to many results you can augment your search with a general type of clothing. i.e. 3XL shirt or 4XL pant. Also products with lots of big sizes have their own subsections for those sizes. 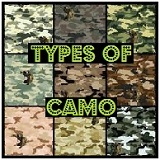 When you navigate to Camo T-Shirts or Fatigue Pants or Field Jackets you will discover subsections specifically for the larger sizes. I am looking for something but I did not see it on your site, can you special order it for me? If it's not on our web site we can't get it. Though if you can't find it here, you may want to try our Clearance Area before giving up your search. I still haven't found the answer to my question...What now? Click here if you question still hasn't been answered.